« Are Signs and Wonders ‘proof’ that the Eastern Orthodox are apostolic? There is no doubt Germans feel uneasy about Donald Trump, to say the least. In a poll conducted in July, only 6.3 percent of all Germans said they liked the idea of a Trump presidency. Many say they are shocked by Trump’s remarks about immigrants, women and his determination to build a wall between the U.S. and Mexico. But does that mean that they think Hillary Clinton is good for the USA? There will only be losers when the US elections are over. And the political establishment is to blame, Ines Pohl writes from the US. In the end it is still likely that Hillary Clinton will win the election. Her lead may be melting, but thanks to the peculiarities of the US election system, she still has an important advantage in terms of guaranteed votes from the Electoral College. Anyone who travels the country with an open ear can listen to large numbers of Trump supporters with real justifications for their vote. Those who venture outside America’s big cities soon experience first hand the misery of this land of opportunity. One meets people living in run-down neighborhoods. Old and sickly people who don’t know how they will make it through the day. Children that are born into hopelessness and who will never have a chance in this utterly brutal two-tier system. Trump’s rise to prominence has provoked considerable trepidation within broad sections of the ruling elite in Germany and internationally. Since the end of World War II, the old Radio Church of God, then the Worldwide Church of God, and now in the 21st century, the Continuing Church of God have said that Germany would arise and would rebuild its military. If Donald Trump is elected, the Germans will see this as proof that they cannot rely on the USA for their defense, etc. Germany will push for a European army. Some in Europe actually want Donald Trump to win for this basic reason (see ‘Why Europe Secretly Roots For Donald Trump’?). If Hillary Clinton is elected, the push may be a bit more subtle. Yet, make no mistake, there will be a coming European army. Whether or not he wins tomorrow, the fact of Donald Trump’s rise will be remembered by many in Germany. Furthermore, the policies of the Obama Administration when Hillary Clinton was the USA’s chief diplomat, also is something that many in Germany will remember (see The Snowden Leaks are Leading to the Destruction of the USA). The “he” above is the European King of the North Beast power. The world will marvel because it did not think that the European Beast, King of the North, power could possibly beat the USA militarily. The “he” above is the European King of the North Beast power. The power with the strongest military fortresses in the 21st century is presently the USA. But it will be defeated by Europe (see also USA in Prophecy: The Strongest Fortresses). The time will come when the USA is no more. Pray (1 Timothy 2:1-3). Some might also wish to fast (cf. Isaiah 58:6). If Donald Trump is elected, he will be apocalyptic. If Hillary Clinton is elected, she will be apocalyptic. It is not only because of policies and character issue, but because of how far along we are in God’s 7000 year plan. The first 6000 years of God’s plan for human beings to see how most will live apart from the true God is almost over (see also Does God Have a 6,000 Year Plan? What Year Does the 6,000 Years End?). 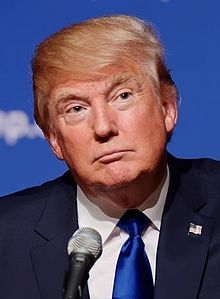 Thus, because of the international importance of the USA and various biblical prophecies, by virtue of timing, the next President of the USA will be apocalyptic. Perhaps I should add that last week the current President of the USA has stated that the ‘fate of the world’ depends on next week’s US presidential election (see Barack Obama claims ‘fate of the world’ hinges on next week’s election). However, irrespective of the voting, unless there is national repentance in the USA, it will be done for relatively soon. Donald Trump in Prophecy Prophecy, Donald Trump? Are there prophecies that Donald Trump may fulfill? Are there any prophecies that he has already helped fulfill? Could a Donald Trump presidency be apocalyptic? A related video is titled Could Donald Trump be Apocalyptic? Another video is 10 Reasons Not to Vote for Donald Trump or Hillary Clinton. Hillary Clinton, Prophecy, and the Destruction of the United States This is a 200 page book for people truly interested in prophecies related to Hillary Clinton and the United States, including learning about many that have already been fulfilled and those that will be fulfilled in the future. It also discusses Republicans. The physical book can be purchased at Amazon from the following link: Hillary Clinton, Prophecy, and the Destruction of the United States, 2nd edition: Is Hillary Clinton Fulfilling Biblical, Islamic Catholic, Hopi, and other America-Related Prophecies? What About Donald Trump? $11.99. 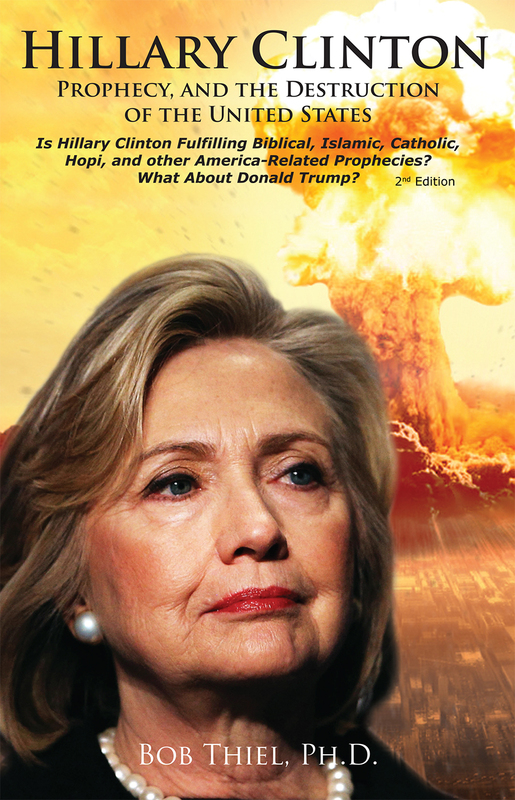 Hillary Clinton, Prophecy, and the Destruction of the United States-Amazon 2nd Kindle edition This electronic version of the 200 page print edition is available for only US$3.99. And you do not need an actual Kindle device to read it. Why? Amazon will allow you to download it to almost any device: Please click HERE to download one of Amazon s Free Reader Apps. After you go to for your free Kindle reader and then go to Hillary Clinton, Prophecy, and the Destruction of the United States-Amazon 2nd Kindle edition. This entry was posted on Monday, November 7th, 2016 at 7:30 am	and is filed under Prophecy. Hillary Clinton and Donald Trump win — a sign of the ‘last days’?